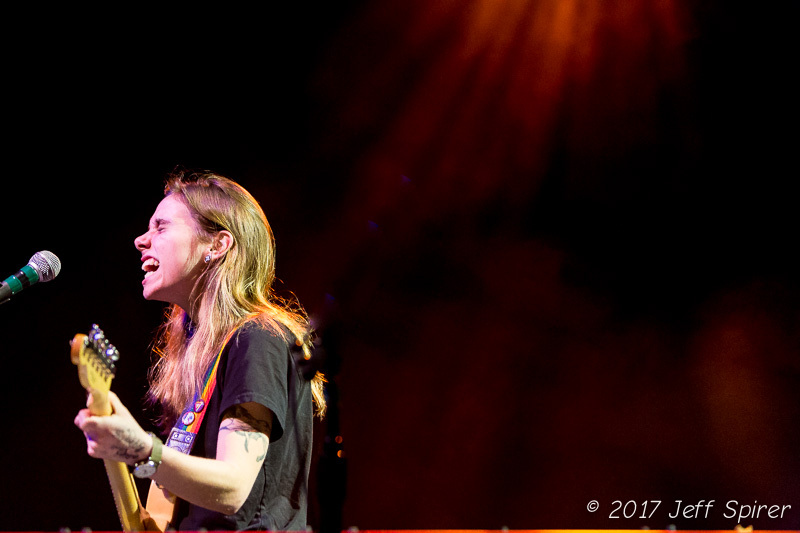 Singer/songwriter Julien Baker brought her emotionally gripping music to a sold-out audience on a Tuesday night at the Fillmore, dazzling the crowd into awe and silence with her evocative and captivating songs. Baker has won the acclaim of fans across the country, and it showed on Tuesday, as the venue with filled to the brim with people by the time she took the stage. 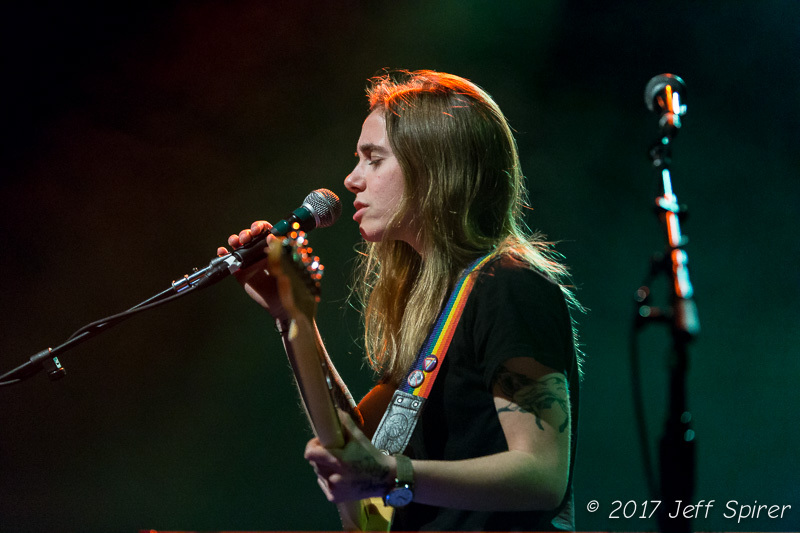 While the Fillmore has been known as a legendary rock venue, with walls lined with photographs from some of the most famous rock bands in existence, Tuesday night’s affair was a subdued one, as Baker quieted the entire crowd as they listened intently to her music. 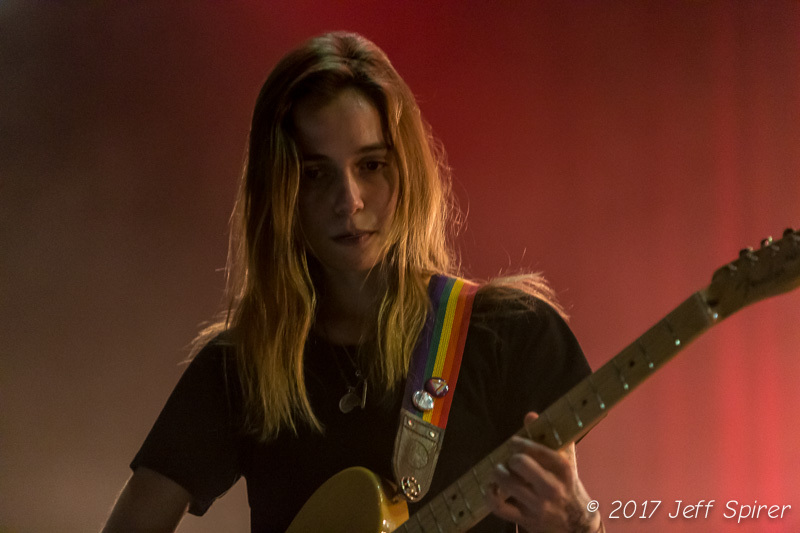 Baker’s music is built around an array of guitar effects and looper pedals, which allow for her to layer multiple guitar tracks on top of one another to create gripping soundscapes. There are no instrumental heroics here as each guitar line, or piano piece, serves to complement Baker’s emotionally powerful vocal delivery and her lyrics. With minimal lighting, Baker took to the stage to play the title track of her latest album, Turn Out the Lights. The song slowly builds from gentle vocals and guitar strumming into a torrent of sound, with Baker cranking up the distortion ever so slightly as the song reached its final crescendo. The next two tracks were also new songs off of the recently released Turn Out the Lights: “Appointments” and “Happy to be Here.” Both featured some of the direct and gut-wrenching lyrics that have become a calling card for Baker. A harrowing description of shortcomings, anxiety, and doubt, both songs benefited greatly from the Fillmore’s excellent acoustics, giving more gravity and weight to Baker’s vocals. 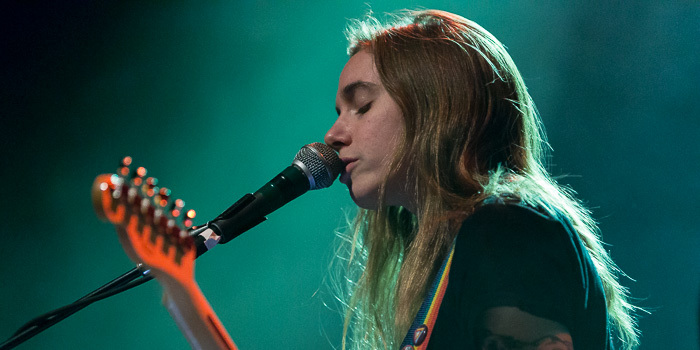 A few songs later Baker brought out her acoustic guitar for a couple of older songs in the form of “Blacktop” and “Everybody Does,” two songs from her debut album Sprained Ankle. Both relied on gentle strummed guitar and finger-plucked chords to give them just enough power to support Baker’s confessional and personal lyrics. While most fanbases would be content to scream out every single lyric, the crowd on Tuesday night was far more subdued, seemingly hanging on every word and every line. 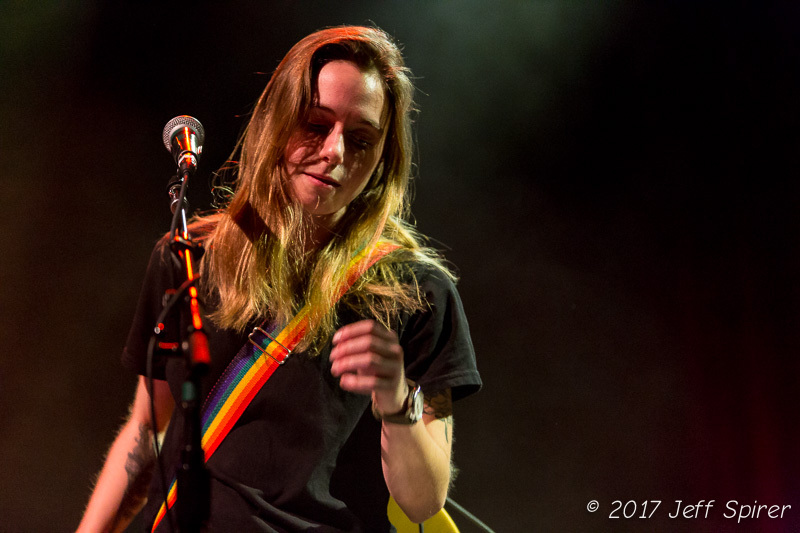 A few songs later Baker took to her keyboard to play the brooding “Claws in Your Back” the final track off Turn out the Lights. 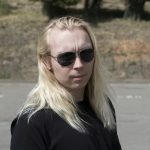 While there was a bit of light brevity before the song, once the driving piano chords and dark melody took over the crowd it was impossible not to have a direct emotional reaction. Armed with another set of personal yet universal lyrics Baker’s vocal delivery stood out on this song, snaking between stabs of piano and brief pauses. Like many of her songs, “Claws in Your Back” continues to pile on the tension and drama before reaching an evocative crescendo. After a rousing performance of the fan favorite “Something,” Baker left the stage for a few moments before returning for a one song encore in the form of the moody ballad “Go Home.” Much like “Claws in Your Back,” the song rides a gentle bit of electric piano over which Baker delivered yet another impassioned set of lyrics. It’s hard not to get caught up in the one’s emotional response to the song, where its universal themes of helplessness and loss get planted in your head from the first couple of lines. 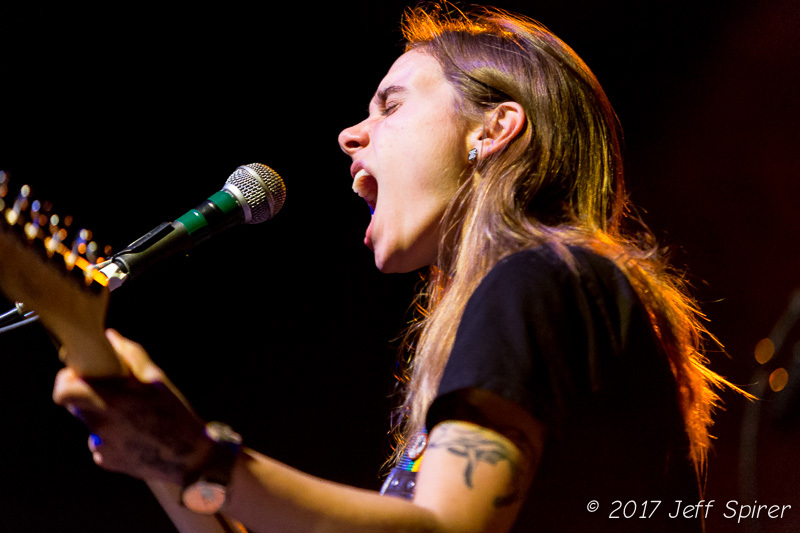 When it comes to delivering compelling and gripping music on the live stage, music that can lull a sold-out crowd to awe and silence, there are few artists out there that do it as well as Julien Baker.